As per the general acceptance, iPhone are reliable and smoothly functioning devices. However, just like any other smart device, iPhone tends to give some problems once in a while at the least. Flickering screen is one of such commonly experienced issues associated with iPhone devices. In fact, flickering screen can occur due to hardware or software issues of the device. Regardless of the cause, it is better to get data from iPhone when screen is flickering before something worse takes place. Flickering screen can prevent you from accessing your iPhone. Sometimes, it can prevent you from entering the passcode as well. So, getting the data from an iPhone that has a flickering screen can be a challenge for an Apple user. But this article comprises of a reliable way to get data from iPhone when screen is flickering. Is It Possible to Get data from iPhone when Screen is Flickering? Many individuals wonder if it is possible to get data from an iPhone if its screen is flickering. The straightforward answer to this question is that it is ABSOLUTELY POSSIBLE! However, to make it possible, you should be equipped with the perfect tool. To retrieve data from an iPhone that has a flickering but workable screen, we suggest you use a specialized tool called iMyFone D-Back. This specific software is developed to address a variety of issues related to iOS devices. This tool is designed with a really friendly user-interface and therefore, even a novice user can make the best use of this software. Let’s take a quick look at the most notable features associated with iMyFone D-Back. Get your precious data off iOS devices without any issue. It can also get data off iTunes backup, iCloud backup. 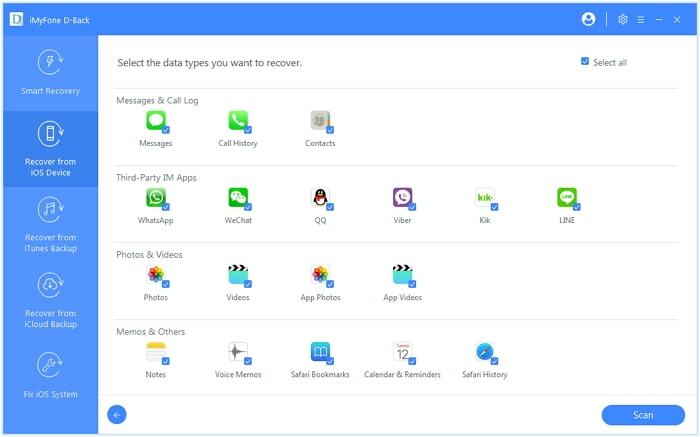 It can get data related to messaging apps like WhatsApp, WeChat, Viber, Line, Photos, etc. It works perfectly well with all the iOS versions and even with the latest devices. It will not affect your previous backups and current data. 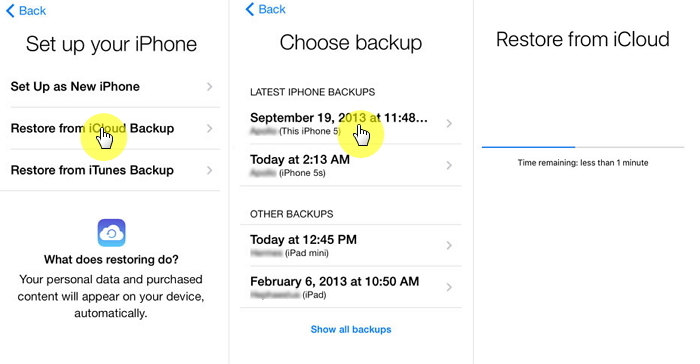 Here’s how to get your data off the iPhone using D-Back if the screen is flickering but usable. You should download, install and launch it on computer as the first step. Then, you should start the program with “Recover from iOS Device” option and click “Start”. Now connect your device to the computer and trust computer on your device. Once the device is detected, you can proceed to the next stage by pressing “Next” option. Now, you should define the types of files you need to get off. After that, you should click on “Scan” option to continue. At the completion of the scan, you will be able to find a list of recoverable data. You can check all the files by clicking on each tab. However, if you need to preview deleted items only, you can click on the option labeled “Show only the deleted files”. 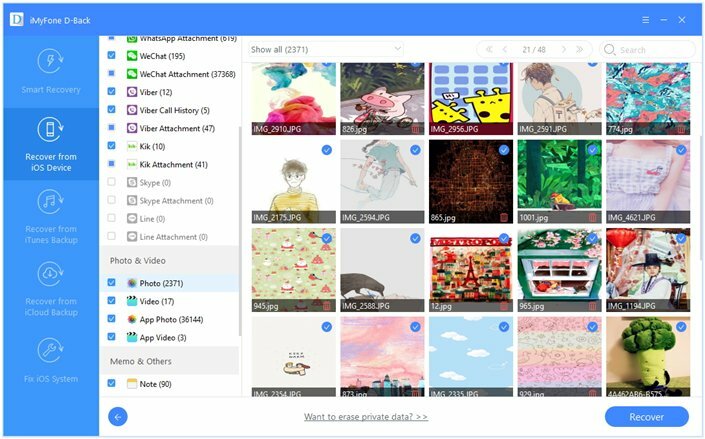 Now, you can select the exact files you need. Press “Recover” button to begin the process. In this section of our article, we intend to explain how to get data off your iPhone when the screen flickers but you cannot use it. 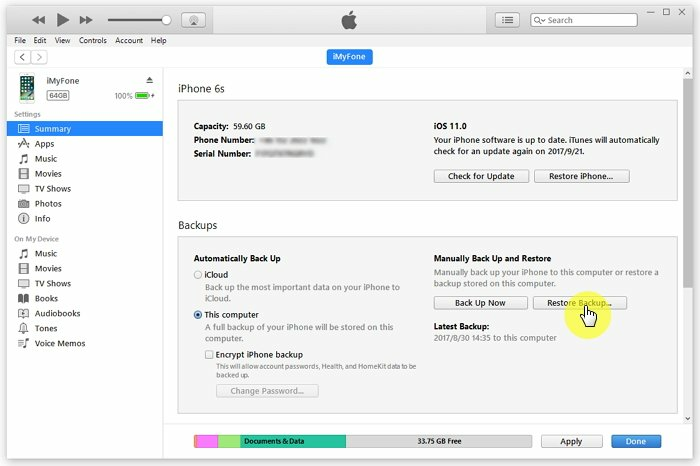 When you cannot use the screen of the device to get data off your iPhone, you should rely on a default option like iTunes backup. View and acquiring iTunes backup should be performed with D-Back if you intend to prevent losing your data. Step 1. At the beginning of the process, you should click on the button labeled “Start”. It is located in the option called “Recover from iTunes Backup”. Step 2. 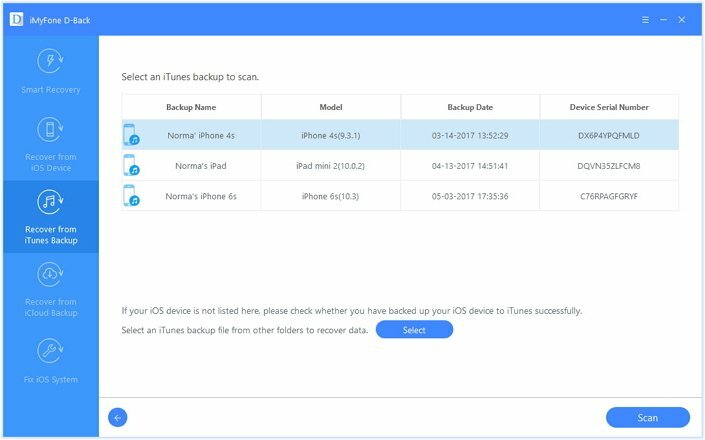 You can now select the iTunes backup you intend to get data off. You can consider aspects like date and size of the backup to differentiate the backup you want from the rest. Enter the password to decrypt the backup if prompted. Step 3. Now, you should select the type of the file you expect to get back. Then, click on the button “Scan” and wait for a couple of minutes for the process to be completed. Step 4. Now, it is the time to get the data off from the selected iTunes backup. Once the results of the search you performed displayed correctly, you can select the files you need from the backup. After that, you can imply press the button “Recover”. Step 1. Go to iTunes on your computer in which you have stored backups. 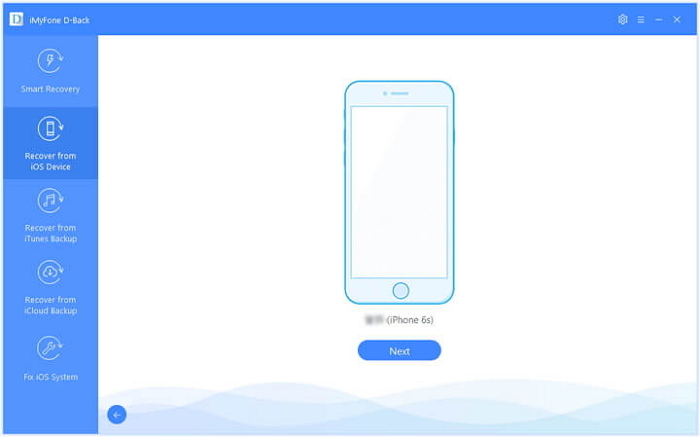 Get the iOS device connected to the same computer. If prompted, provide the passcode or trust the computer and do as per the onscreen steps. Step 2. Select the iOS device when you can see it in iTunes. Step 3. Now, select the option “Restore Backup” in iTunes. Step 4. Select the most relevant backup after observing the date and time of the backups. Step 5. Hit “Restore” and wait for the process to get completed. Be sure that the device stays connected to the computer until the completion of restoration. Step 1. Press “Start” under “Recover from iCloud Backup”. Step 2. Provide the credentials of the iCloud account . Step 3. Select the respective iCloud backup from the list and press “Next”. Step 4. Define the files to be recovered and press “Scan”. Step 5. Preview and select the files toy need and press “Recover”. If you cannot fix the flickering issue without data loss, then after fixing or resetting, your previous data will be lost. Then all you can do is to restore your iCloud backup. Step 1. Go to Setting app and select General. Then, go to Software Update. Step 2. Go to settings and tap on your name. Step 3. Go to iCloud storage and then Manage storage. 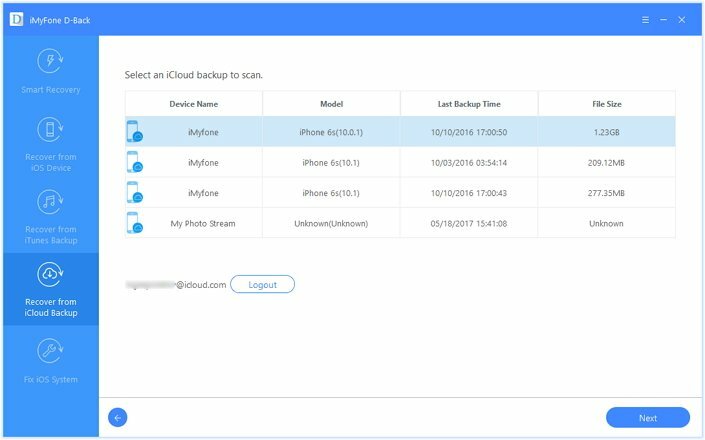 Select a device that is listed under backups. Step 4. Now, go to Settings and select General. Tap on “Erase all content and settings”. Step 5. Tap Restore under iCloud backup and sign in to iCloud. Step 6. Select Choose Backup and pick the backup to restore. You can try any of the methods mentioned above to get data from iPhone when screen is flickering. From the above description, we suggest you try D-Back with the free trial version. Please let us know your experience with the method you have tried. Your opinion will be highly valuable for our readers and for us.